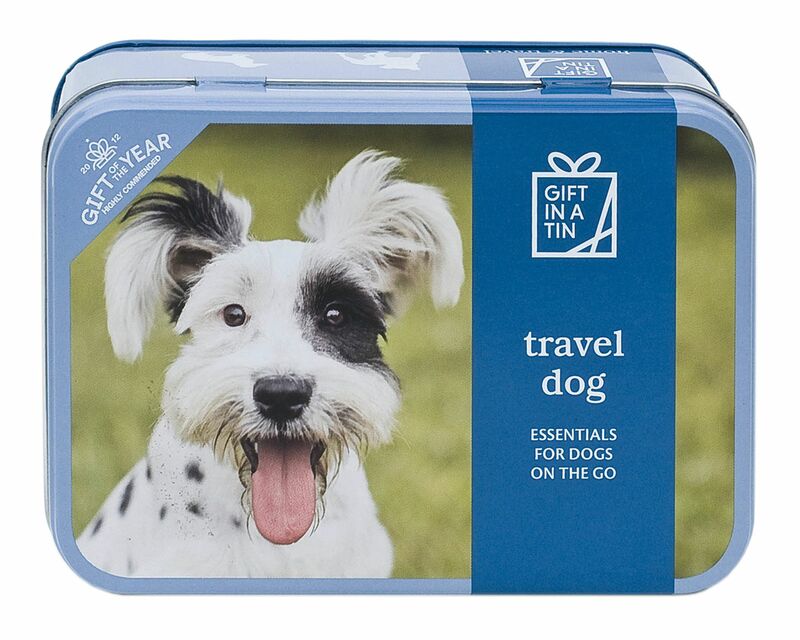 The Travel Dog Tin has been proven to be the best gift for any dog lover by the Giftware Association. 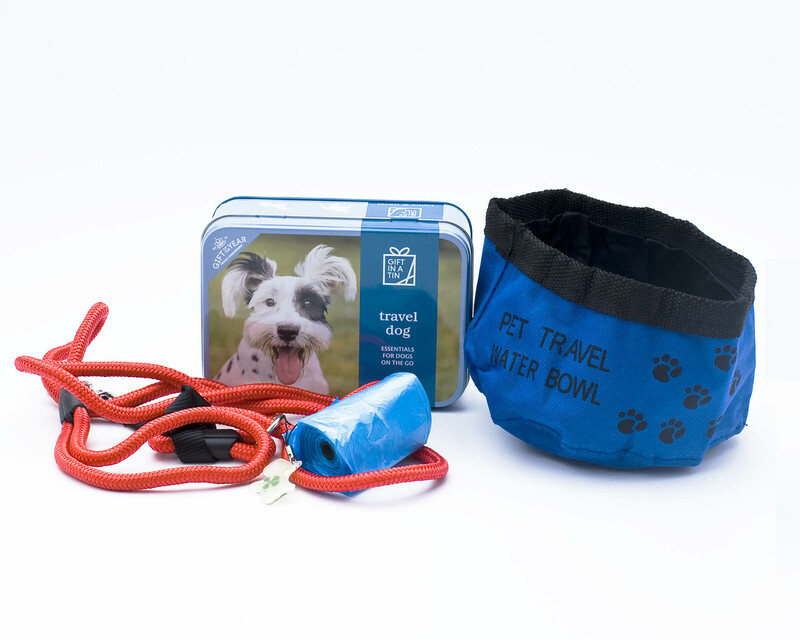 Contents: Folding water bowl, emergency, universal fit dog lead (with optional clip-to-collar attachment), night glow dog tag, plus a roll of dog poop bags. 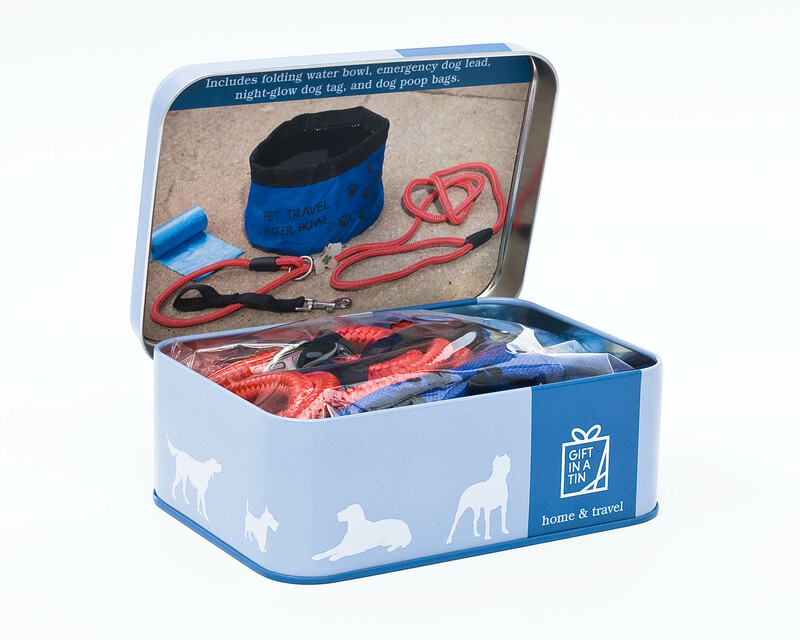 For ADULTS ONLY - This is not a toy.